I’ll bet you my Disney pass that Trump won’t get his wall. Maybe not, but we will get ours. Vasilia Votzakis LOL. Maybe you should get a little more informed. Trump has already stated the military is going to build the wall. What do you think the extra money in the military budget was for? This is all to show the Americans that Democrat care more about criminals than Americans. The wall is a done deal cupcake. CHIEF_ T No it’s not. And do people think a tunnel pass is free? FUR REALZ DAWG? NO WAY DAWG, NO YAH MEAN DAWG. Just put a nuke in the tunnels, and that’ll solve the tunnel problems. For the wall, that wall with sharp points is spot on. +Kreepy Pasta 116 to 900 billion on a stupid war is nothing. We have more white people on welfare than anywhere else.Explain that. +Kreepy Pasta.Immigrants made this country and that is how it always been..If you don’t know your history please don’t comment anymore. I never said I was pro-war, I only stated a fact that is commonly over looked. whites do make up the majority in the US, and illegals do steal all our high wage, low skill construction jobs. so I’m sure that factors into welfare numbers. Actually our founding Fathers gave us the foundation for what America is today. If you don’t know your history, please don’t comment anymore. +Kreepy Pasta Founding fathers where not from this country so what does that make them?? Immigrants tadaaa..It not the people for Mexico we have to worrying about when we depend on other countries in the first place. Thats truth tha will hurt many. +Kelly Rhys If that’s true, why did he need to lie about Mexico paying for it? +Kelly Rhys .Illegal Immigrants?? Do you even understand what you are saying. Blacks didn’t come here willingly but Mexico gave them there freedom and land in the 1830’s .Nobody came here legally it was all taken from the Indian’s. So unless you are 100 percent Indian I wouldn’t say one word. 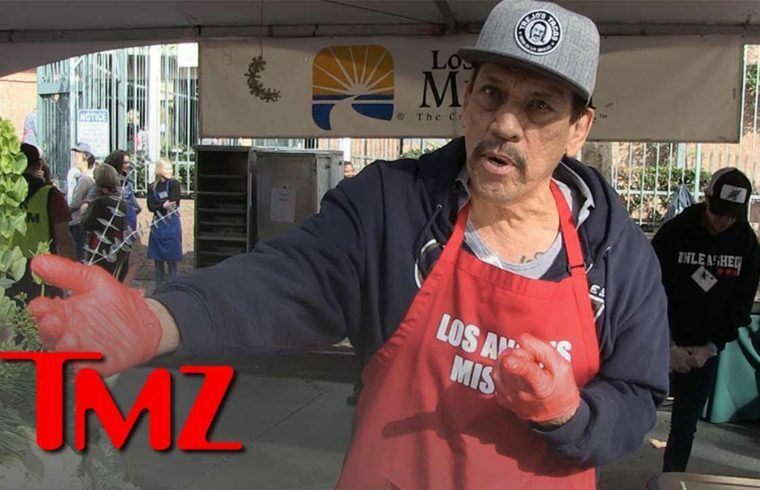 What the hell is TMZ doing in skid row?? Israel built a wall and now only has 1% illegal immigration. don’t listen to Communist media, walls do work! otherwise every single country on the planet Earth wouldn’t have one. Mexico should pay for the wall. illegal invaders cost US taxpayer’s 116B a year, and that number is extremely conservative. it’s probably 3-4 times that. +Kreepy Pasta So basically trump lie when he said Mexico was going pay for the wall. Walls work both ways. do you lock your front door to keep strangers out, or do you keep it open and let any stranger in at any time? For those in support of the wall remember that we are talking miles and miles of different types of landscapes and geography. It is going to cost way more than what Trump is asking for, not to mention the maintenance of it as well as the vast security needed in man power. At the end of the day that money could be used on something more viable. Its ok all americans that want to support the wall go to go fund me .com and look at we the people will fund the wall. And help support this.